Freedom of Speech: when do you cross the line? One of the most controversial social issues of present day appears to be freedom of speech. It’s impeached all areas of modern life – social media, entertainment, politics, war and law just to name a few. The so-called most hated woman in Britain, Katie Hopkins, is widely known as controversial because of her social comments towards different groups of society. But how far is she allowed to go? When is it ok or not ok? We’ve also seen freedom of speech sparking war and terrorism recently. In December, a group of hackers threatened mass terror attacks upon America if the Sony film ‘The Interview’ was not pulled from release on Christmas Day. Of course, America and Sony complied and the film was not released to cinemas to wide spread condemnation from Hollywood stars. 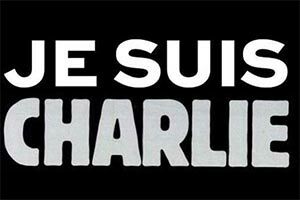 More tragically, the offices of Charlie Hebdo in Paris were attacked last month because of their controversial depictions of the Prophet Muhammed. The satirical magazine remained defiant against threats and unfortunately it ended in tragic circumstances. With freedom of speech now threatening lives, what happens to such a fundamental principle now? 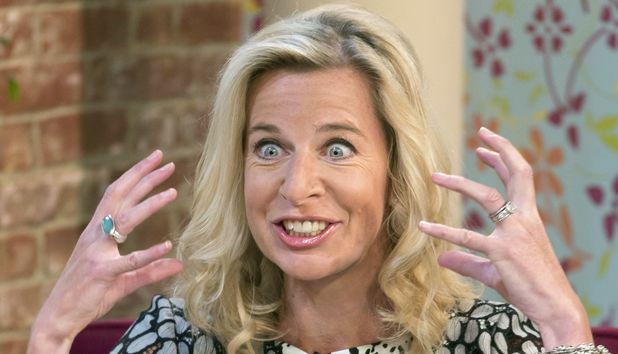 Katie Hopkins is a very interesting character to observe. She is obviously a very intelligent woman and SHOULD know when not to cross the line, in terms of offending people. She is one of Britain’s most notorious social commentators for her controversial opinions, and many TV broadcasters have given her a platform to project her views. ITV’s This Morning continue to feature Hopkins in many debates, despite having many calls to ban her from the programme. Channel 5 has now also joined in, having casted her for the current series of Celebrity Big Brother. In the house, Hopkins has admitted the main reason for her views are that she views the world as black and white for her own peace of mind. It’s fair enough that she can use freedom of speech to broadcast her views, otherwise we’d be living in an autocratic and policed state. But do her comments go too far? Persistently stating your hatred of fat people and victimising certain people could be viewed not as freedom of speech, but bullying. My instinct with Katie Hopkins is that she says controversial things purely for entertainment purposes. I’d be seriously worried if she genuinely believed some of the prejudice and bigoted comments which she makes. This has been illustrated by her slightly softer character coming across at times in the Big Brother house. When she’s not scripted, she literally turns into a normal human being. Therefore, it seems to be that ‘Katie Hopkins’ is a persona she has created to enable her to have a successful media career. Hopkins is a very clever woman, but I don’t think exploiting groups for her own purposes and passing it off as ‘freedom of speech’ is acceptable. Especially from a public figure who appears regularly on many TV programmes. However, Hopkins’ abuse of freedom of speech looks insignificant and trivial when compared with the events which unfolded last month at Charlie Hebdo. Like any other magazine or newspaper, Charlie Hebdo used its freedom of speech to publish satirical cartoons depicting a wide variety of religious and political figures in a negative fashion. I don’t need to recount the horrifying events which occurred that day, however the key political question that now remains in the aftermath is…did they cross the line with freedom of speech? My answer is a definite no. The Muslims were not the only group to be targeted by the magazine, it poked fun and a huge range of different religious figures, including the Pope. However, the extremist Muslims used this as an excuse to launch an attack upon Paris. The world should not limit its freedom of speech to appease a small group of extremists, particularly when Muslims themselves have also defended the magazine. The police officer who lost his life defending the magazine officers was Muslim. He defended a magazine which poked fun at his own faith in order to uphold the universal principle. There have also been many British Muslim leaders appear on UK news coverage following the attacks supporting the magazine’s right to freedom of speech. One in particular highlighted how Islam, like any other faith who has been attacked, cannot place themselves above the principle. It’s a massive shame that extremists have become violent due to their lack of support for such a fundamental principle of the Western world. However, this attack should not deter any magazine or newspaper from censoring their material. It’s important to continue resistance against these barbaric ‘human beings’ and the interfaith rally in Paris showed that France, the UK, USA and the rest of the world, not matter what faith or nationality, will not succumb to the wishes of terrorists.